Choosing floral arrangements for your wedding day takes a lot of time and money. And with the florist industry generating a revenue of about $7 billion each year, it can be difficult for newlyweds to just throw away their wedding flowers after their day is done. Fortunately, there are plenty of ways to repurpose your well-thought flower design ideas. So after your big day, consider one of these options for repurposing your flower arrangements. One of the most common ways people save their wedding flowers is to have them preserved. This can easily be done by simply letting the bouquet dry out. Once it’s dry, it’s up to you to decide what to do with it. 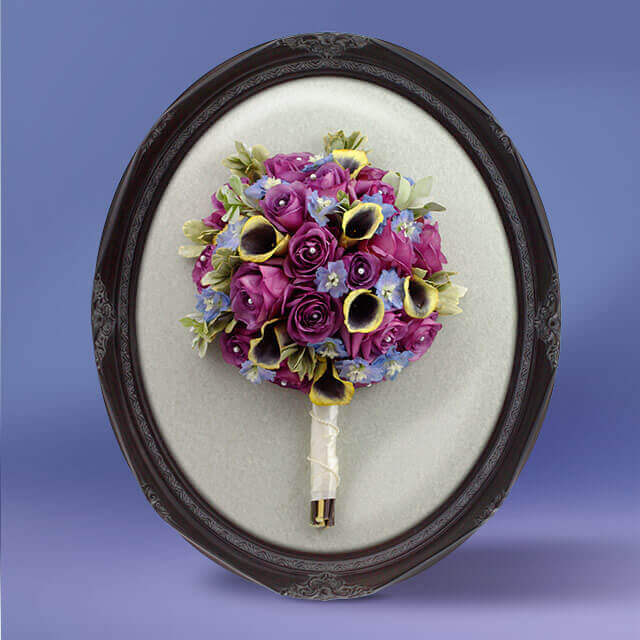 Many newlyweds decide to put their flowers in a shadow or keepsake box to display. Others will put them away with the rest of their wedding day items to keep them safe. Either way, you’ll have your flowers with you forever. If you’re not looking to keep your flowers, there are so many great options to donate them. Nursing homes, hospitals, funeral homes, and other places are always looking for donated flowers. There are even organizations that will come and get the flowers from you and take them to be donated. So if you decide not to keep the flowers, consider giving them a new life with someone else who needs them. 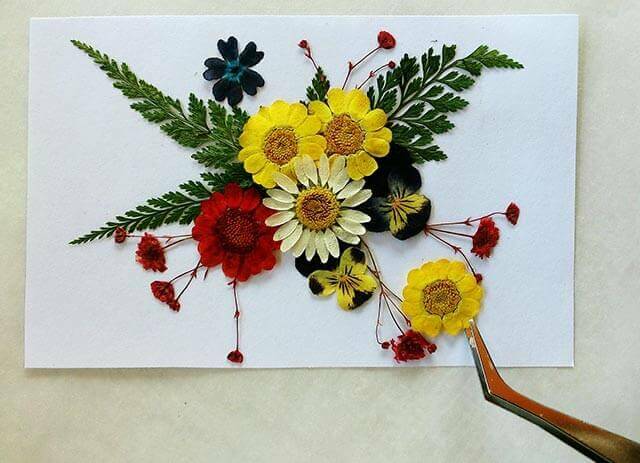 This is a great idea to reuse your flowers for your thank you notes or other cards in the future. Press the flowers between sheets of parchment paper underneath heavy objects for around 10 days. After they’re dried out, you can use glue to secure them to paper. 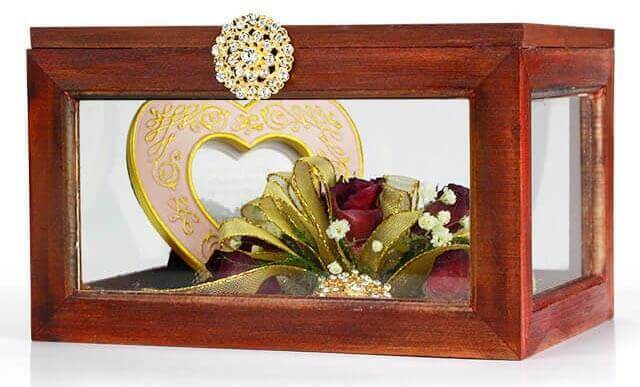 You can even do this and choose to frame your flower design ideas to keep them forever. Preserved flowers in a memory chest. What better way to keep your flowers than to put them in an ornament? Begin by letting the flowers dry out. Once they’re dried, take whatever petals off you’re looking to keep. Get a clear plastic ornament that can be opened and put the petals inside. Close the ornament and decorate with your names, wedding date, etc. This is a great decoration to have out all year long or bring out around Christmas time to remember your special day. Flowers for use in potpourri. Potpourri is an easy way to bring your wedding flowers into your home. 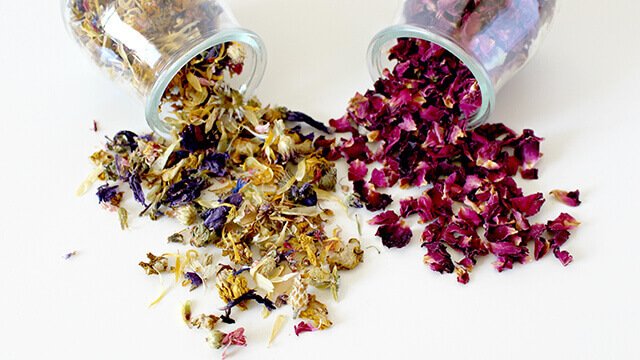 After the petals are dried out, simply add an essential oil or perfume to bring out your favorite scents. This is a great option to use at home or you can even give them as gifts to those who were not able to attend your wedding. Hopefully, some of these ideas will help you figure out how to repurpose your wedding flower design ideas. Whether you choose to preserve them and turn them into something new or donate them to someone else who could use them, you can feel good about not just throwing them away after you’re done with them. If you’re looking for a reputable florist in Baltimore to help preserve your flowers, contact Essex Florist today. Our professional staff uses one of the best methods for floral preservation: silica gel. With this preservation method, your flowers will begin drying immediately, without producing brittle, frail flowers. By using this method, you’ll have beautifully preserved flowers in a short six to eight weeks that will help you remember your special day forever. So if you’re looking to get flowers preserved, contact us today to talk about your project.